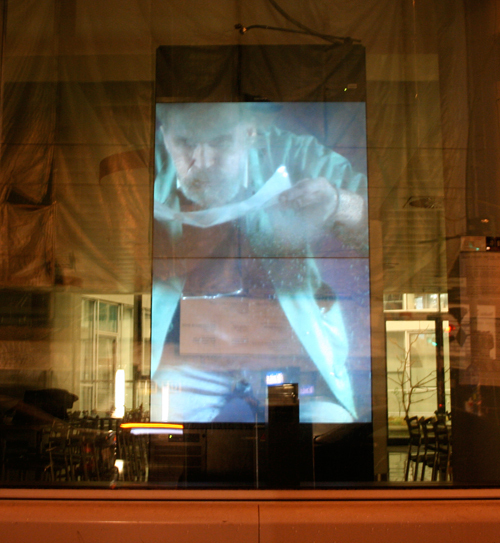 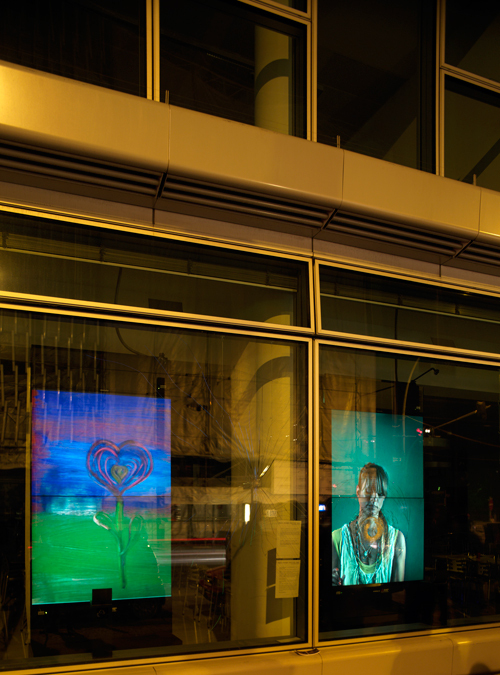 Interactive video projection for the shop-window of SAP Berlin. 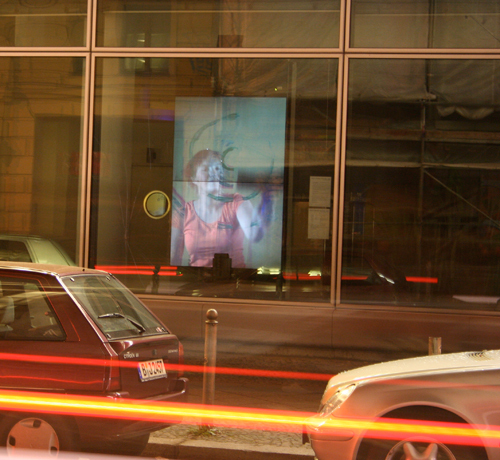 As people on the street passing by the windows, the actors inside the screens start to continue drawing paintings in correlation to the movements of the pedestrians. 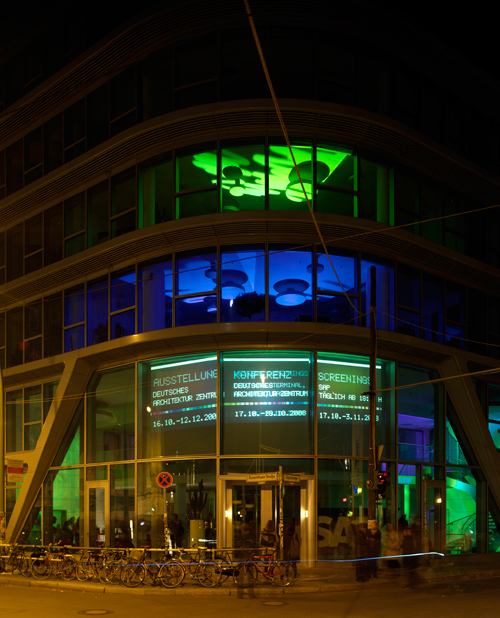 This project emerged in the context of the Media Facade Festival Berlin.